12. 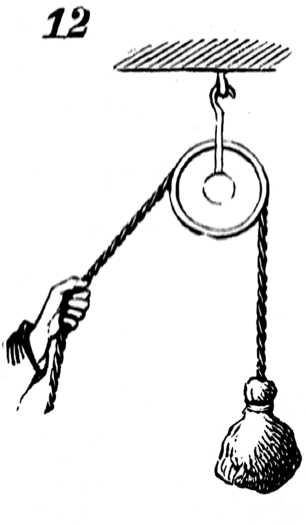 Simple pulley used for lifting weights. In this the power must be equal to the weight to obtain equilibrium.